Don't let the headline scare you, this is actually the easiest grilled halibut recipe I've ever made and is perfect for a weeknight meal. The salty flavor of the prosciutto complements the grilled halibut (or any fish for that matter) perfectly - salt is a natural flavor enhancer. 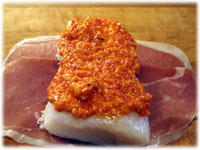 The Roasted Red Pepper sauce filling recipe is new and adds a surprising depth of flavor to the halibut. The sauce uses roasted red peppers in a jar that you can buy from most grocery stores. 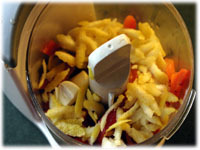 In a small food processor or blender combine them with some garlic, grated lemon peel, parmesan cheese and a little olive oil. 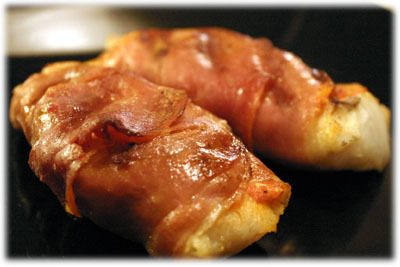 Spread a little on each piece of halibut and wrap in prosciutto. It's that easy. 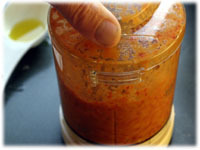 In a small food processor or blender combine the roasted red pepper, lemon rind, garlic and parmesan cheese. Blend the ingredients until they're well broken down. Slowly add some of the olive oil and continue blending. 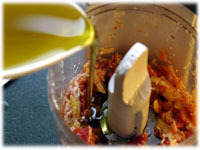 Continue blending and adding just enough olive oil until the mixture is emulsified and resembles a gooey paste. 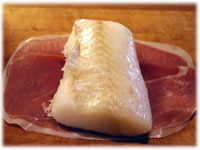 Lay 2 strips of prosciutto on your working surface and lay a piece of the halibut, centered, on top. Smear some of the red pepper mixture over the halibut. ...then fold the other side over. 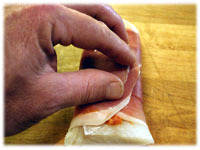 Rub both sides of fish packets with a little olive oil. 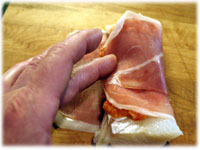 If you need to you can secure the prosciutto with a toothpick, just remove it before serving. 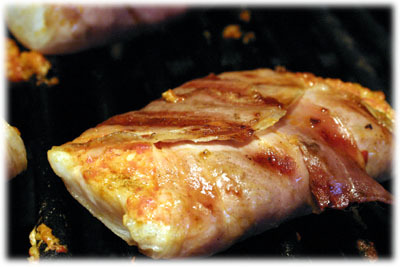 Set up the grill for Direct cooking and preheat to 400F - 425F. 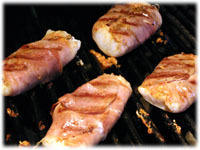 Oil the grates of your grill to prevent sticking. 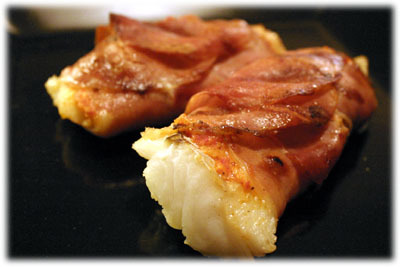 When the grill reaches cooking temperature carefully place the prosciutto wrapped halibut on the grill. Close the lid and wait 5 minutes. 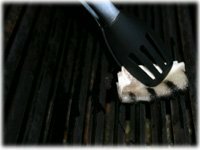 After 5 minutes lift the lid and peek under one of the grilled halibut pieces and look for grill marks. 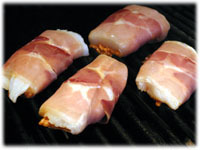 If your happy with the grill marks very carefully roll each piece over using a spatula. Close the lid for another 5 - 6 minutes. Lift the lid and check the fish, it should be opaque and flake easily with a fork. Carefully remove the grilled halibut to a plate and serve immediately.